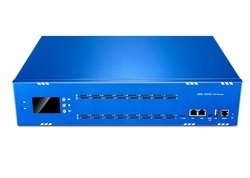 We are a leading Manufacturer of 2 port gsm gateway, 8 port gsm gateway, 16 port gsm gateway, 32 port gsm gateway, 44 port gsm gateway and 4 port gsm gateway from New Delhi, India. 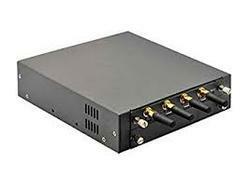 The GSM gateway in a fixed configuration designs with a Lan Switch board that provides steady telecommunication. It supports SMS messages sending and receiving and group sending and SMS to email. 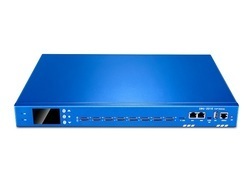 The GSM Gateways¿¿use standard SIP protocol and compatible with Leading IMS/NGN platform, IPPBX and SIP servers, support most of the VoIP operating platforms such as Asterisk, Elastix, 3CX, FreeSWITCH ,Broadsoft etc. 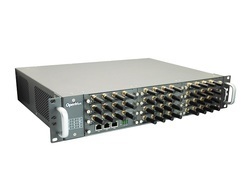 SWG-1032G gateway supports multiple codecs, including G.711U, G.711A, GSM, G.722, G.723, G.726, G.729 multiple coding. The GSM gateway will be 100% compatible with Asterisk, Elastix, trixbox, 3CX, FreeSWITCH SIP server and VOS VoIP operating platform. 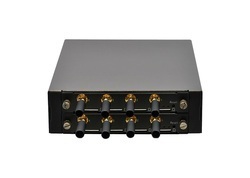 It can help users reduce telecommunications and communication costs. 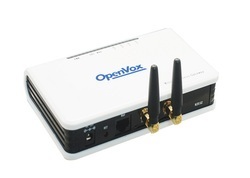 OpenVox SWG-1032G gateway supports 32 GSM Channels and 1 Ethernet interface, And the band is 850/900/1800/1900 MHz.